A film about Louis Prima? If anyone remembers him, it was for his corny song-and-dance pitter-patter on the 1950s Ed Sullivan Show, something for the old folks who couldn't handle rock'n'roll. 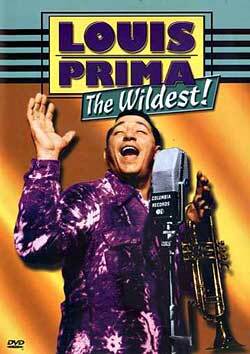 Don McGlynn's Louis Prima: The Wildest makes the best case possible that there was more to Prima than a sweaty mainstream entertainer. This affectionate movie shows that Prima, a New Orleans native, was one hell of a jazz trumpeter, and that his creamy, slurred, pre-Dino crooning voice prefigured the self-conscious ethnicity of other Italian-American singers. A nice thing is that you get to enjoy whole songs being performed, the best of which are Prima's duets with his one-time wife, Keely Smith, whose stage persona was to stand Buster Keaton-stonefaced while smiley Louis hopped wildly about.